The hymn “Let the Lower Lights Be Burning,” written by Philip Paul Bliss in 1871, evocatively describes a group of despairing sailors trying to find their way through a perilous sea. But it’s not the lighthouse they rely upon; instead, it’s the smaller, human-scale beacons of the lower lights along the coastline that give them hope. With their new Christmas-themed album, The Lower Lights Sing Noel, released Nov. 26, The Lower Lights give the gift of their unique takes on traditional Christmas songs, as well as invite people of all religious persuasions to come together in the spirit of the season. Founded in 2009, The Lower Lights set out to rediscover the simple joys of traditional hymns. On A Hymn Revival and A Hymn Revival Volume 2, as well as their first Christmas-themed album, Come Let Us Adore Him, the large group—the member count is usually 10 to 15 musicians—breathed new life into the old songs, giving them fresh vocal harmonies and contemporary instrumentation with guitar, piano, mandolin, lap steel, banjo and other acoustic instruments. The new album includes beautiful, down-home versions of “Still, Still, Still,” “Bring a Torch, Jeanette Isabella,” “The Holly & the Ivy,” “Far, Far Away on Judea’s Plain” and many others. 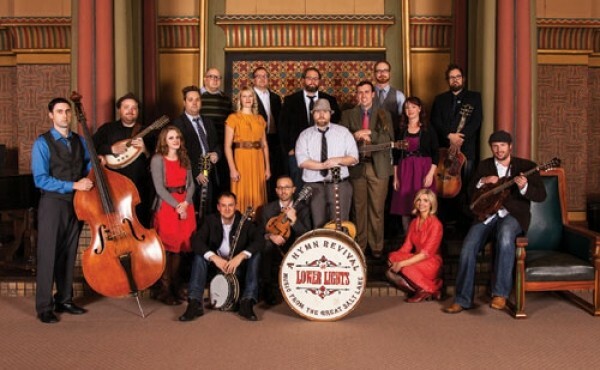 In addition to original members such as Sample, Paul Jacobsen, Scott Wiley, Pat Campbell and Ryan Tanner, The Lower Lights Sing Noel features newcomers Jay William Henderson, Stephanie Mabey and members of The Hollering Pines and the former Folka Dots. The band will debut the album live at their fourth-annual Christmas concert, held for the third year at the Salt Lake Masonic Temple. For the first time, The Lower Lights expanded the performance to four nights (Dec. 9-10 and 12-13) and all sold out—proof of the group’s growing local popularity. And it’s no wonder: Drawn by the band’s welcoming message of acceptance and fellowship, everyone is a member of The Lower Lights. Thursday-Friday, Dec. 12-13, 7:30 p.m.